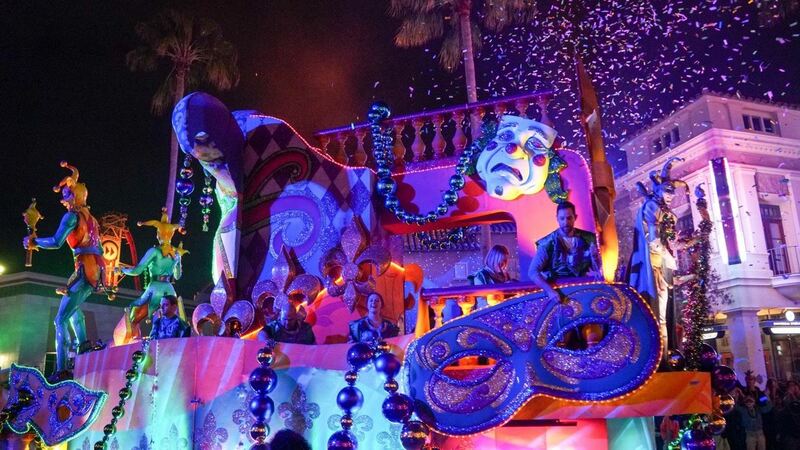 Universal's version of a Mardi Gras Parade has the crazy characters of the New Orleans version but is much more compact. 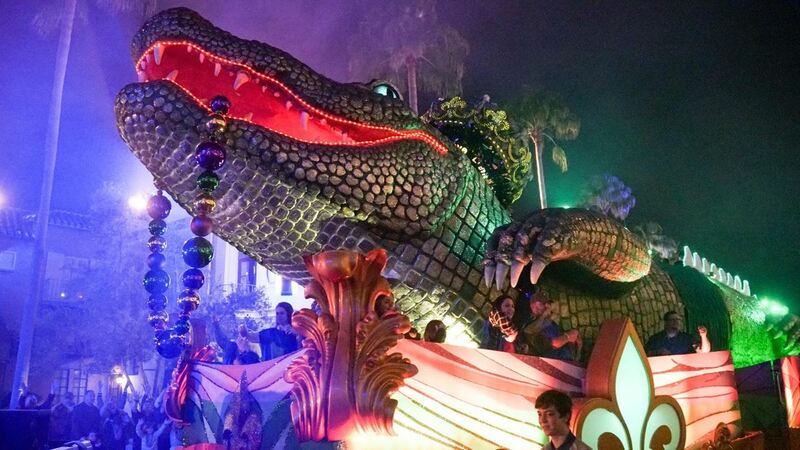 Floats are updated most years with new themes, but you can always count on the massive “King Gator” float and multi-story Riverboat to roll down Universal’s boulevards. 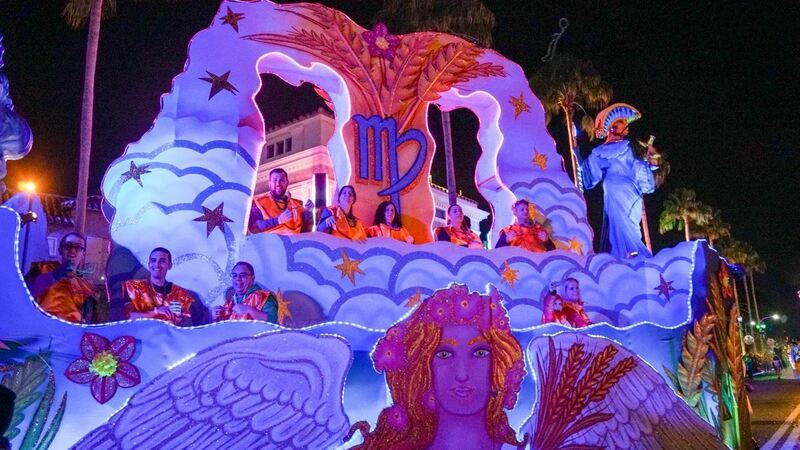 The floats are each accompanied by dozens of strolling performers and stilt walkers, while costumed revelers ride upon them tossing colorful plastic beads to the crowds below. 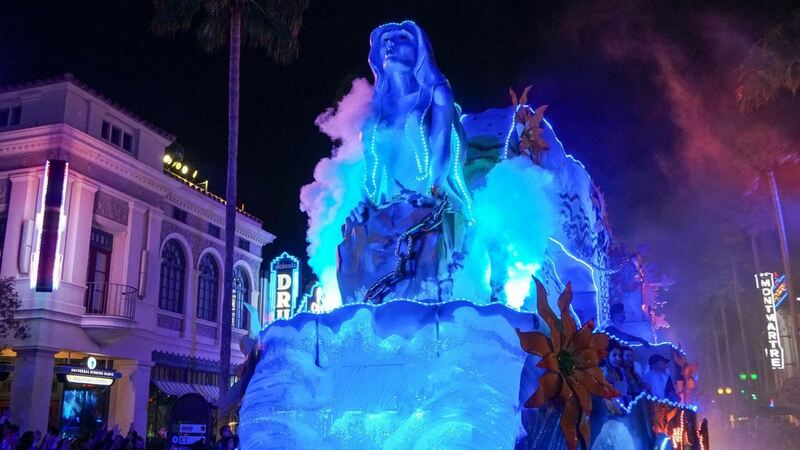 The parade typically follows the same route as the daily Superstar Parade except in reverse, starting and ending at Hollywood's Esoteric Studios gate near the Horror Makeup Show, and traveling clockwise around New York and the waterfront. 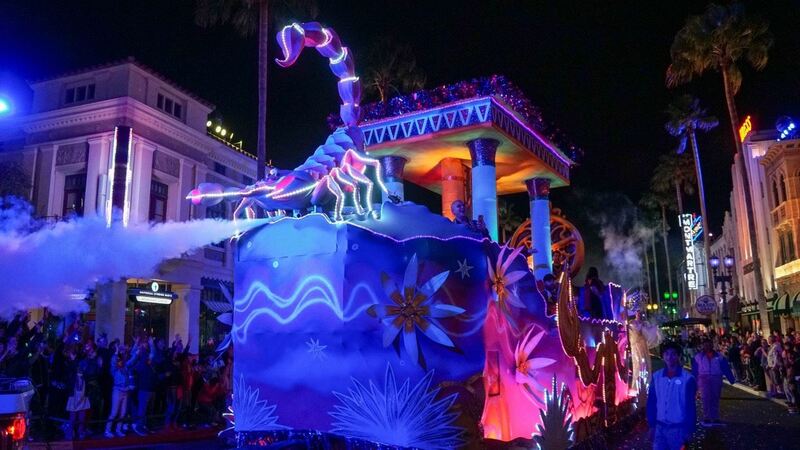 The parade takes about 15 minutes to pass by any one spot, and lasts approximately 45 minutes from when it enters to the park to when it leaves. 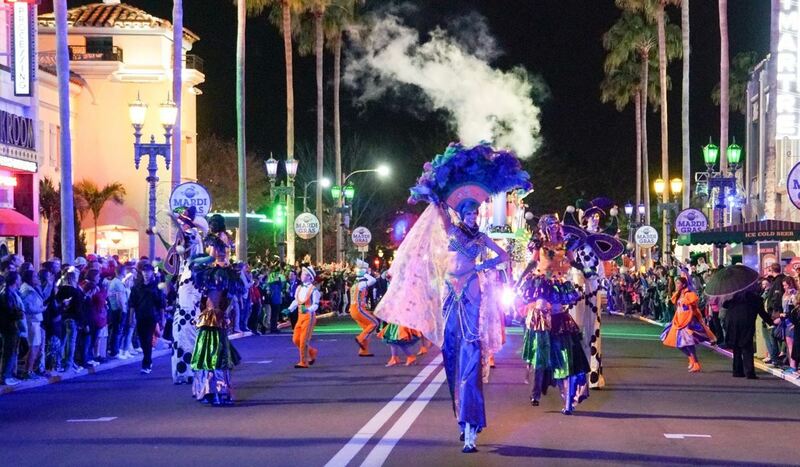 The parade generally begins at 7:45 p.m. Times may vary with operating hours, so check the park map for details. 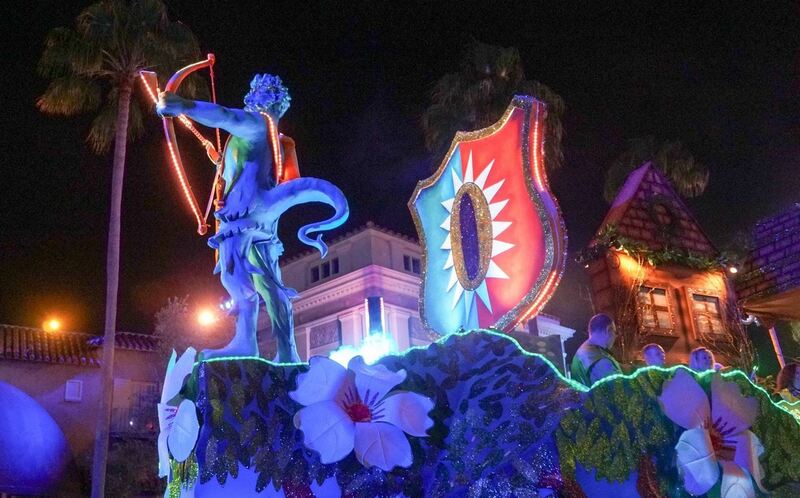 You can find good viewing anywhere along the parade route, and unless you insist on standing right up front, there's no need to save your spot more than 10 or 15 minutes in advance. 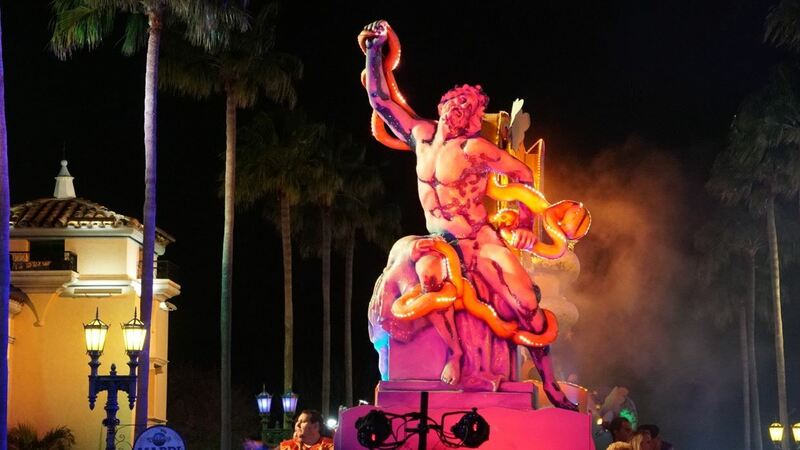 Special reserved viewing areas are also available for Annual Passholders (near Mel's Drive-In), American Express cardholders (near Finnegan's), guests with disabilities (near Macy's in New York), and young "Lil' Jesters" and their families (near Terminator 2: 3-D). If you really want to get in on the action, it's possible to volunteer as a bead-tossing float rider. 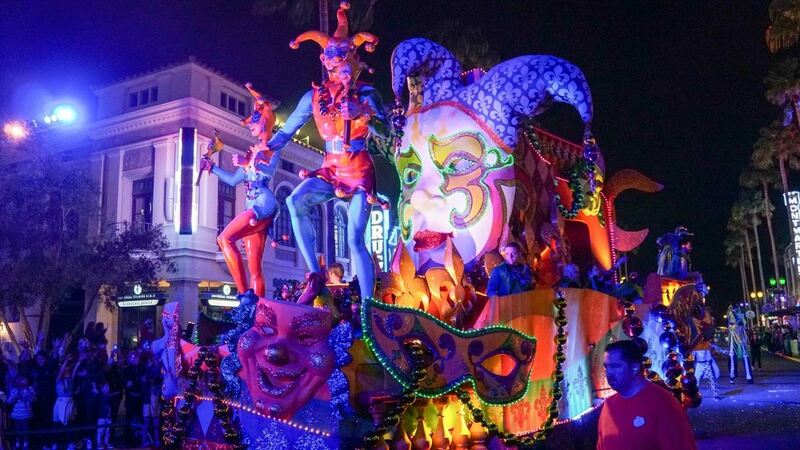 Annual Passholders can sign up for themselves and a guest online; you must sign up at Universal's Mardi Gras RSVP website at least one week in advance. 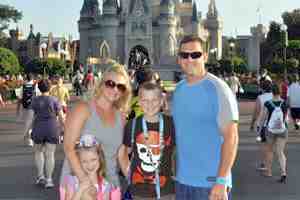 If space is available, additional riders may be recruited from park guests in the afternoon. 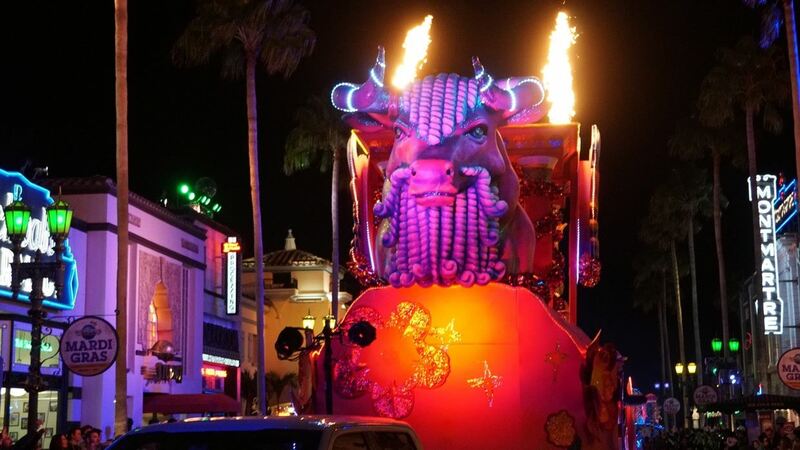 Some years, American Express members who used their card to purchase multi-day admission are invited to ride the floats; receipt to prove purchase is required. All riders must be at least 18 years old (or accompanied by an adult) and 48" tall; space is limited and availability is not guaranteed.